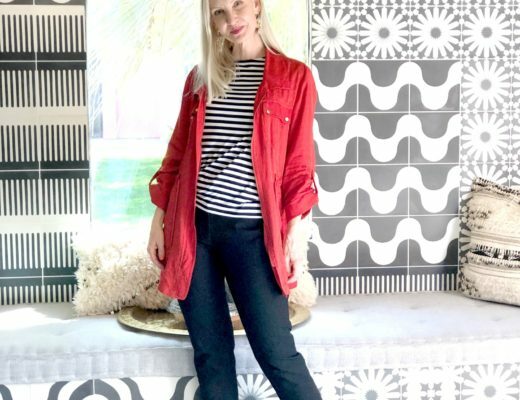 I love the look of a crisp chic shirt, but I hate to iron … Foxcroft to the rescue! 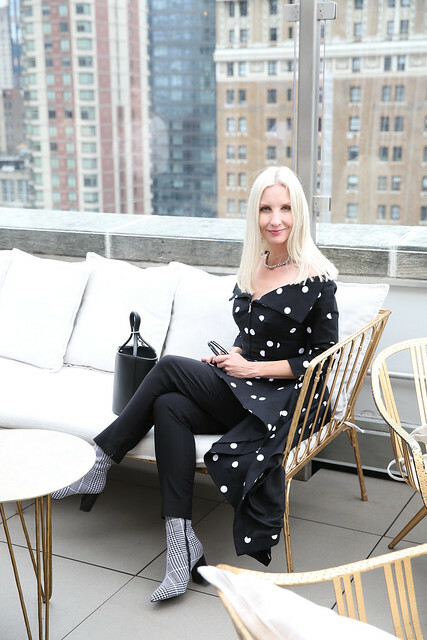 This post is a collaboration with Foxcroft. All opinions are all my own as always. This Foxcroft Faith Wrinkle Free Animal Print Tunic looked amazing and totally wrinkle free right out of the package. 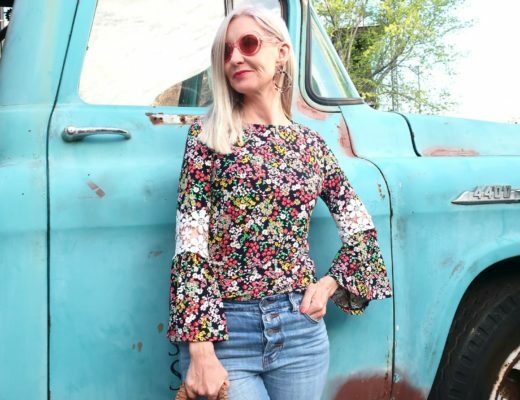 Made with pretty cotton sateen, machine washable and wrinkle free, it’s just the type of piece that a hardworking busy woman needs in her closet. I’m also loving the longer length of this tunic style. 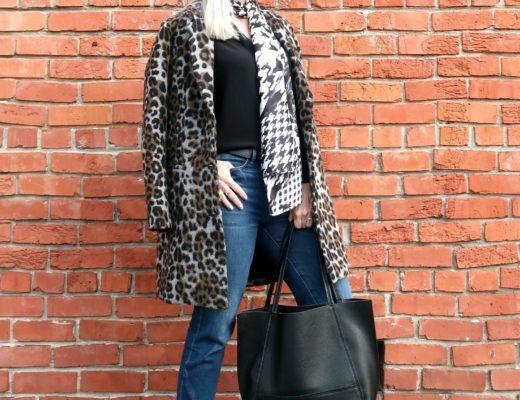 As for the print, leopard is a classic that’s always in style, but it’s really having a big moment right now! 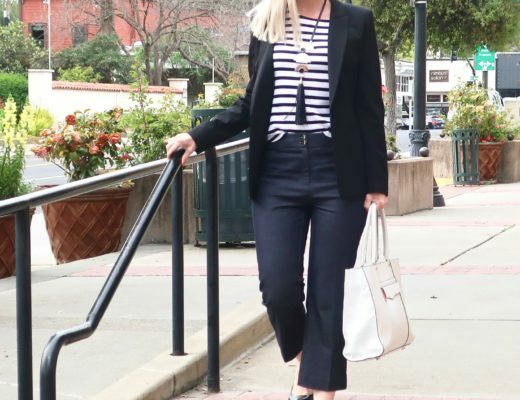 For over 30 years, Foxcroft has dedicated themselves to making effortless style a way of life. Foxcroft has perfected the classic button down shirt and added in the latest wrinkle free technology so that you have a classic shirt that will look wonderful every time you wear it. Finally a shirt that works as hard as you do. 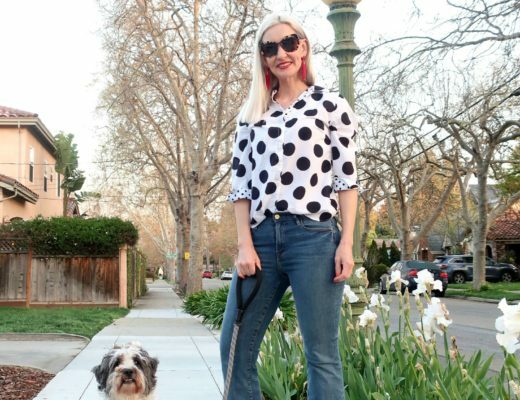 Foxcroft is offering my readers 25% off their first purchase with code FOXCROFTFASHION … what an amazing offer! Hope everyone is having an amazing week and excited for the weekend ahead! Fabulous! Have a great weekend! 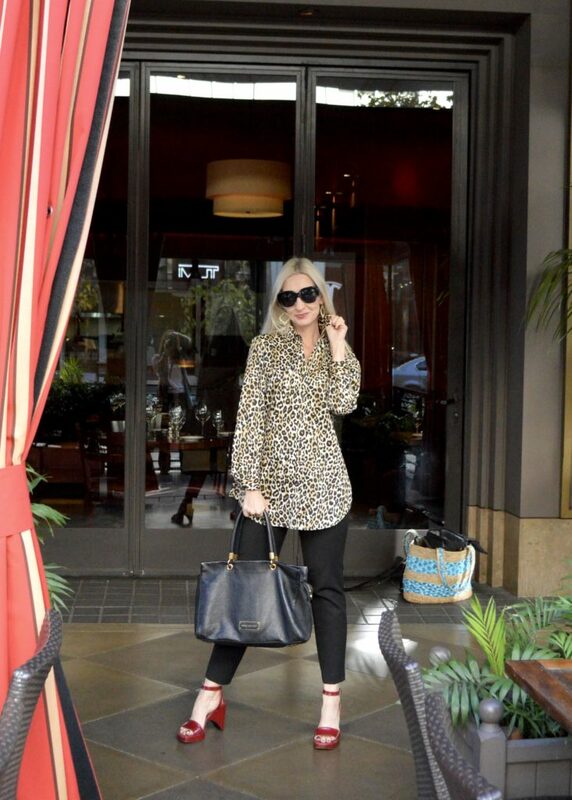 Such a lovely lady in leopard! 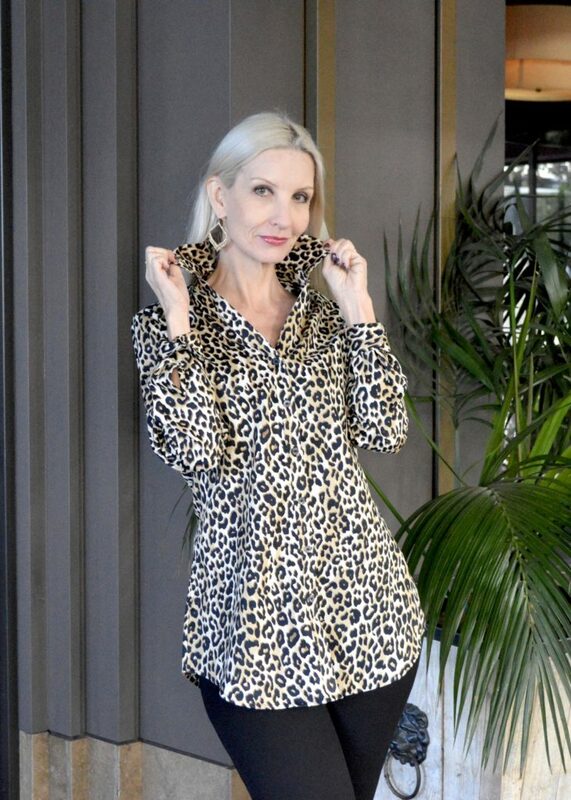 Very nice and stylish look with this super trendy leopard shirt! You had me at wrinkle free!! I hate to iron, too! What a lovely shirt! Looking fabulous! Beautiful blouse and I love the length almost as much as not having to iron it! The red shoes are a great touch! I love shirts that don’t need to be ironed. 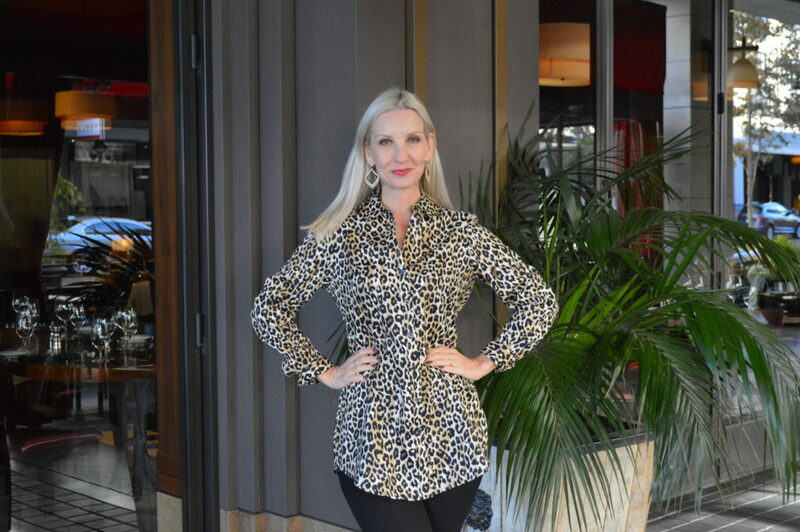 Add some leopard and you have the perfect blouse! Thanks for the link up! Yes, perfect combo! Thanks Kathrine! You look amazing in this outfit. LOVE that top. This is a beautiful shirt, kind of a leopard goes serious vibe. Leopard is having such a huge moment! But of course it’s always a classic! Wrinkle free AND leopard? Sign me up!! Loving the pop of red too. The leopard print looks great on you and I like it with the red shoes. Foxcroft is a new brand for me so thanks for introducing them. What a fabulous shirt! I hate ironing too! Hope you have a great weekend! You look gorgeous! You rock the print really well. Such a fab leopard top you have there dear. Love the gorgeous contrast from your heels too. Ooh, love that blouse on you! I bought a similar one at Chico’s but I like the iron-free one you are styling, too! Red shoes are genius! Thanks for sponsoring the Link Up, Dawn. Leopard is my favorite. And this blouse is just gorgeous.